Blade length : 68.93 cm or 27.13 inches. Sori : 1.95 cm or 0.76 inches. 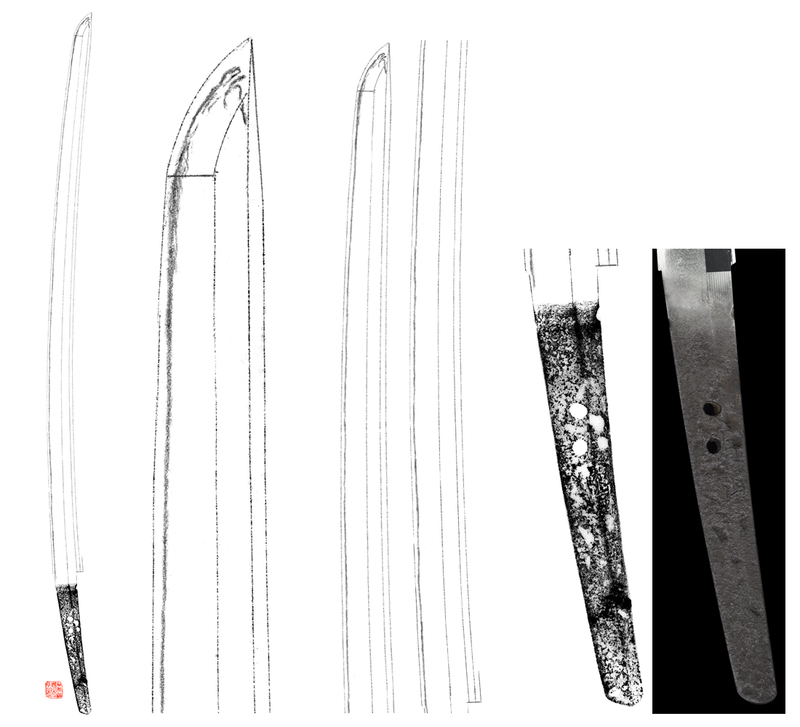 Shape : It is wide and thick long size katana. Jitetsu : Ayasugi hada well grained with jinie attached. The ayasugi hada is well seen. the revival of ayasugi-hada was done by Gassan Sayoshi and Gassan Sadakazu. The Gassan school that was active before early Edo peirod is called Ko-gassan. This piece is quite old Ko-Gassan. The Ayasugi jigane is well grained with jinie attache. 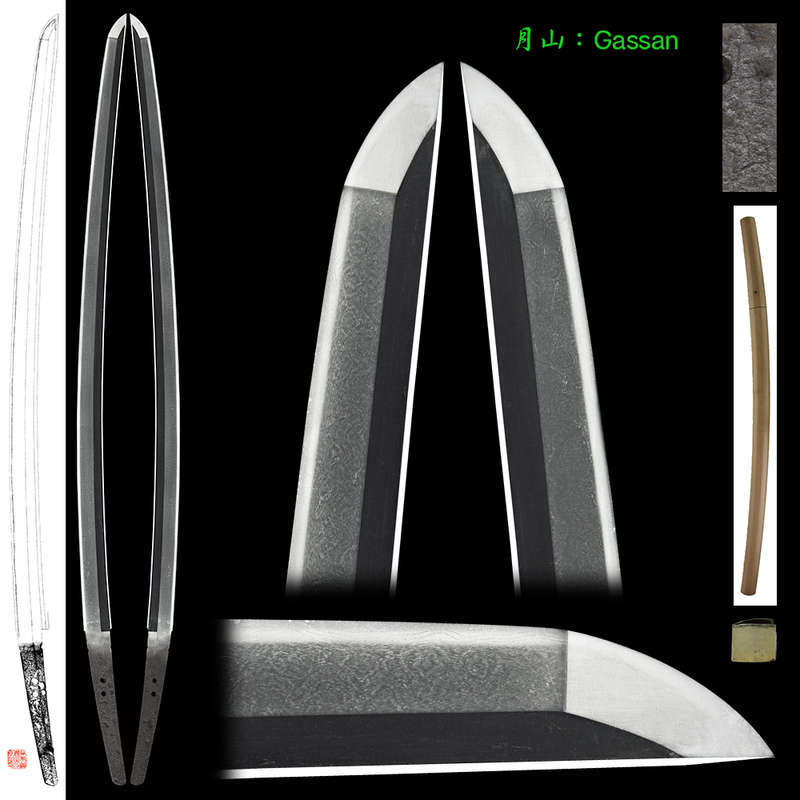 The Hamon is typical suguha and the jigane is smooth as water surface. Ko-Gassan's characteristic is well seen and it is finely made work. Tsuba : Round shape iron Tsuba, vine is engraved with gold color. Fuchikashira :Nanako Ume flower is engraved with gold color. Saya : Black Saya with bird and peony gold Makie. Menuki : Shakudo, Ume flower is engraved with gold color.